University of California Press, 9780520295995, 224pp. A free ebook version of this title will be available through Luminos, University of California Press’s Open Access publishing program. Visit www.luminosoa.org to learn more. 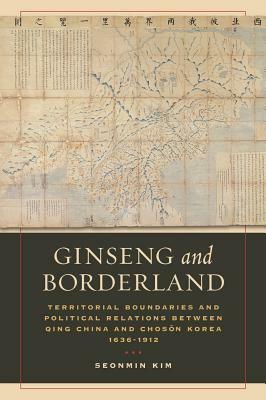 Ginseng and Borderland explores the territorial boundaries and political relations between Qing China and Choson Korea during the period from the early seventeenth to the late nineteenth centuries. By examining a unique body of materials written in Chinese, Manchu, and Korean, and building on recent studies in New Qing History, Seonmin Kim adds new perspectives to current understandings of the remarkable transformation of the Manchu Qing dynasty (1636–1912) from a tribal state to a universal empire. This book discusses early Manchu history and explores the Qing Empire’s policy of controlling Manchuria and Choson Korea. Kim also contributes to theKorean history of the Choson dynasty (1392–1910) by challenging conventional accounts that embrace a China-centered interpretation of the tributary relationship between the two polities, stressing instead the agency of Choson Korea in the formation of the Qing Empire. This study demonstrates how Koreans interpreted and employed this relationship in order to preserve the boundary—and peace—with the suzerain power. By focusing on the historical significance of the China-Korea boundary, this book defines the nature of the Qing Empire through the dynamics of contacts and conflicts under both the cultural and material frameworks of its tributary relationship with Choson Korea. Seonmin Kim is Associate Professor at the Research Institute of Korean Studies at Korea University. "Kim’s indispensable book nevertheless provides much of interest and opens up further avenues for research."